So, you have chosen James Hardie siding as the exterior siding material for your home. As the number one siding choice in America nothing can possibly go awry, right? Wrong! 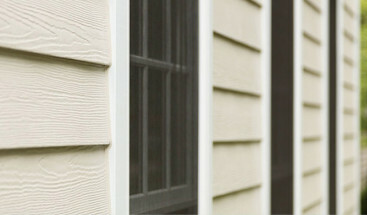 Choosing the siding material for your home’s exterior is only a part of the equation, and while it is a major part and you have made an excellent selection in your siding material, you need a quality installation to ensure that siding performs to the high standards for which it was designed. We understand that, as a homeowner, it is easier to rest your head at night knowing that you not only have excellent siding, but that your siding has been installed properly and effectively. And a James Hardie Preferred Contractor is guaranteed to do just that. But what exactly does this guarantee mean? Hiring a James Hardie Elite Preferred contractor adds many benefits to you as a homeowner and to your siding project. 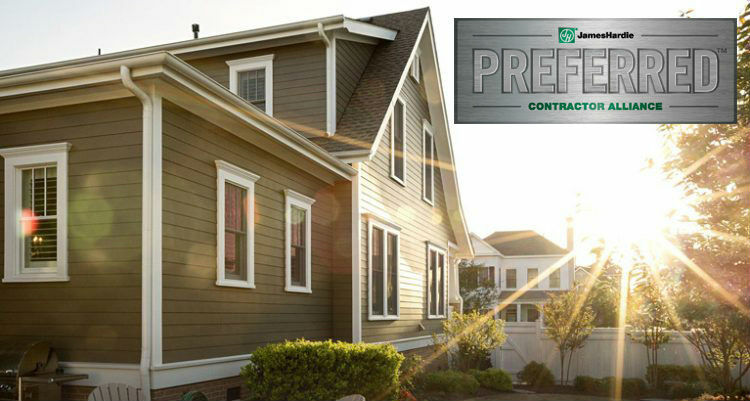 What Is a James Hardie Preferred Contractor? Receiving the James Hardie Preferred contractor status is not easy. To do so, contractors must have a proven track record as well as a good rapport with the James Hardie brand. James Hardie has a comprehensive evaluation process that selects only top-tier contractors to receive its awarded statuses. James Hardie utilizes a third-party customer satisfaction surveying service called GuildQuality to asses all contractors. This service sends out assessments to real life customers upon the completion of a James Hardie Fiber Cement siding installation in order to garner feedback on the contractor’s performance. All James Hardie Elite, Preferred and Rewards Advantage contractors must have a homeowner “Likely to Recommend” score of at least 90 percent. As you can see, James Hardie has taken the guesswork out of finding a great contractor. Seeing the company’s preferred status should alleviate any worries regarding your siding contractor. When choosing a James Hardie Elite preferred contractor, you are choosing a team that provides excellent installation of a superior product. Selecting a reputable, professional contractor to install your siding means protecting one of your greatest investments as a homeowner. And the preferred status gives you peace of mind knowing that your home lies in well-qualified and highly trained hands. It also saves you the time it would take to research contractors with good reputations among other customers. As a homeowner, you desire options in your siding selections, enough to make your home look fabulous. James Hardie’s wide range of style options provide you with just about any home exterior look you can think of. By hiring a James Hardie Preferred contractor, every one of these siding options becomes available to you. Whether it’s the HardiePlank, HardieShingle or HardiePanel, a James Hardie Preferred contractor can make the home exterior you have always wanted a reality. What Does This Mean for Your Siding Project? 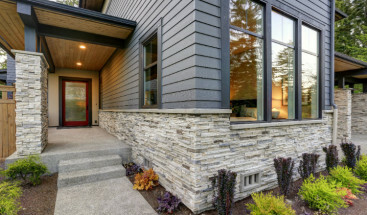 Even if you are a handy homeowner who can install and upgrade certain features of your home yourself, it is important to understand that installing James Hardie Fiber Cement is not a DIY process. It requires proper removal of existing siding, and installation of moisture barriers. It also means redoing flashing around windows, doors and roofing. And even if you feel you can accomplish each of these steps, the Fiber Cement boards are a tough, durable material, requiring a trained knowledge of proper installation methods. The James Hardie Preferred status indicates that the contractor you are hiring knows how to properly implement each of these steps, especially board installation. As part of the James Hardie Contractor Alliance Program, all preferred level contractors must learn how to properly install all James Hardie products through the First Board, First Nail Program and online training. These contractors know the proper way to install your siding and ensure that it preforms to its highest standard. Not only that, but such contractors can properly install HardieTrim and HardieSoffit as well. You can accomplish all of your siding needs at one time, knowing that the contractor you have entrusted with your home can correctly install every facet of your siding. Don’t just give your home a top-notch siding material, allow a highly qualified contractor to provide you with a superior installation — one that will make your siding last for years to come. We are ready to do just that at Refined Exteriors. Schedule a complimentary in-home consultation today or call (720) 360-1611.